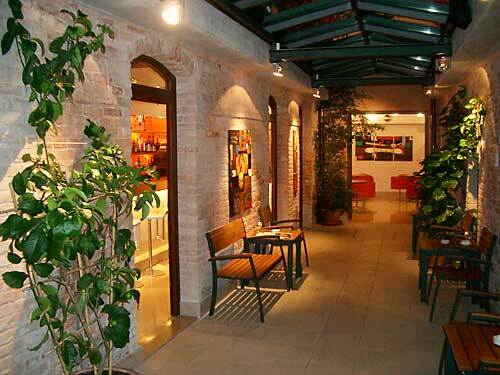 Hotel Information : This hotel offers a relaxing stay in Venice, away from the most crowded areas. The casual ambience, the professional and friendly service and the home-from-home atmosphere will ensure that your stay is a pleasant one. 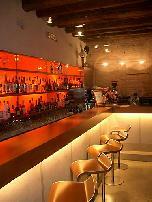 Room Information : The rooms are spacious and comfortable, with all modern facilities. 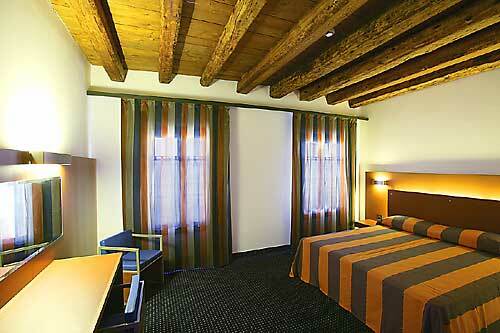 The double room is more than 20 m2, whilst the junior suites are 35 m2 and the suites are 50 m2. The junior suites have a garden view and the suite a canal view. The suites are very romantic for couples on their honeymoon or for special events like an anniversary. 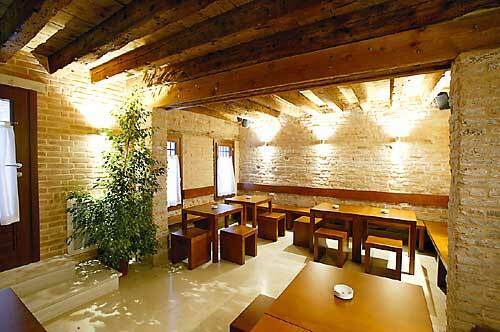 Region Information : The Cannaregio district is the most authentic and traditional part of Venice. 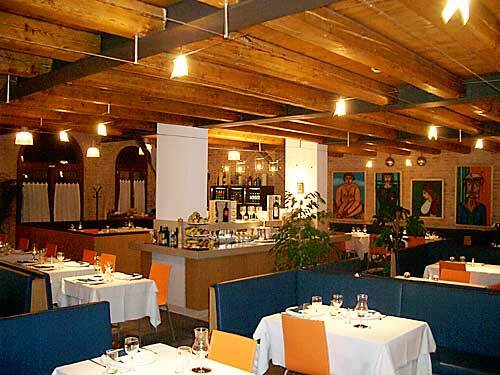 There are a selection of typical restaurants located close to the hotel. Food & Beverages : The American Bar is open until midnight, and there is also a wine bar which offers a selection of cheeses (made by the family) and wines. 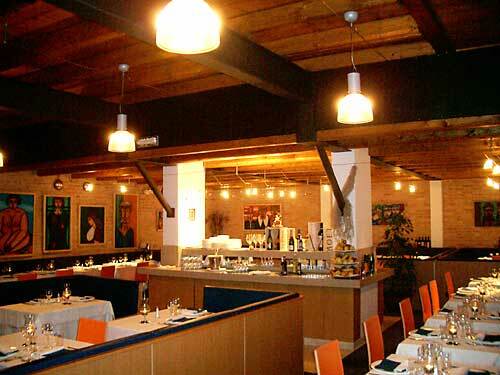 The 'Al Piron' restaurant offers a Mediterranean menu with a good wine selection and fresh food of the day. The restaurant allows you to dine in the garden corner, and it is possible to take breakfast inside the restaurant (with air conditioning) or in the garden. Cancelation Policy : Cancellation Policy: If cancelled up to 2 days before date of arrival, no fee will be charged. If cancelled later or in case of no-show, the first night will be charged. Children and Extra Bed Policy: All children are welcome. All children under 2 years stay free of charge when using existing bedding. All children under 2 years stay free of charge for cots. 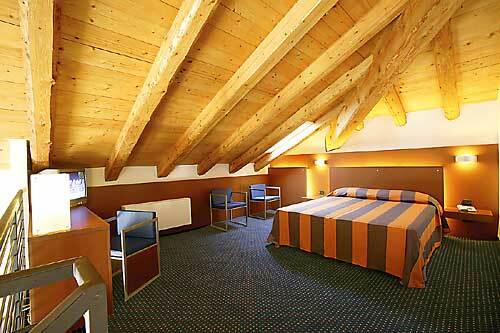 All older children or adults are charged EUR 50.00 per night and person for extra beds. Maximum capacity of extra beds/babycots in a room is 2. Deposit Policy: No deposit will be charged. VAT and city/tourist taxes: VAT is included. Service charge is included. City/tourist tax is not applicable. Internet: Wired internet is available in the hotel rooms only and costs EUR 4.00 per hour . Meal Plan: American breakfast is included in the room rate. Parking: No parking available. Pets: Pets are allowed. No extra charges. Travel Information : By train: From the train station or Piazzale Roma (car park): - Take a private taxi directly to Residenza Cannaregio (10 minutes). - Alternatively, take waterbus number 52 or 42 to the San Alvise stop (15 minutes). 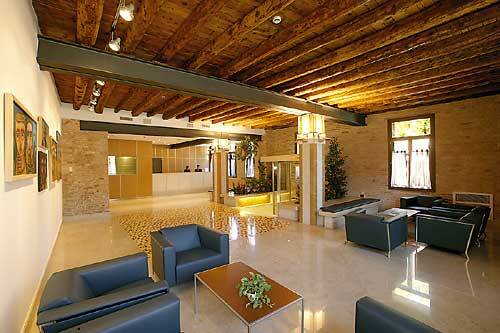 By plane: From the airport: - Take a private taxi directly to the Residenza Cannaregio (15/20 minutes). - Alternatively, take the water-shuttle Alilaguna to Fondamente Nove, then water bus number 51 or 41 to San Alvise stop. (45 minutes). - Or, take bus-shuttle ATVO to Piazzale Roma then waterbus number 52 or 42 to the San Alvise stop (45 minutes). - You could also take bus number 5 to Piazzale Roma and then waterbus number 52 or 42 to the San Alvise stop (45 minutes). On foot: From the San Alvise stop (4/5 minutes by walk): Walk straight up to the little square San Alvise. You will see a church on your left and a wooden bridge in front of you. Do not cross this bridge. Go right following the little canal. At the end of the street you will see a stone bridge, cross this to the left. 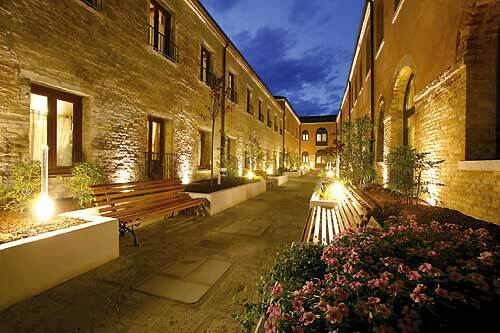 You will see a pink palace: this is the Residenza Cannaregio. 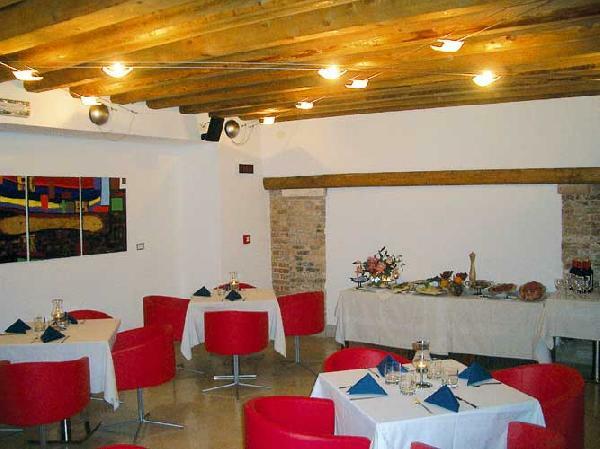 Short description : This charming hotel, located away from the noise and crowds of the city centre, was originally an ancient artisan establishment called ‘Squero’ and a place where gondolas were built. 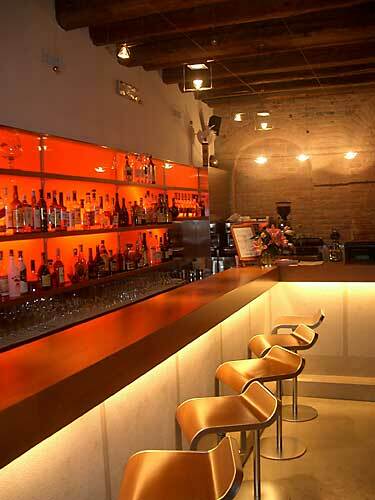 The hotel is located near to the Jewish Ghetto (Campo De Gheto Novo), which is the oldest in Europe. During your stay, you can immerse yourself in authentic Venice, off the tourist track, surrounded by artisan workshops, old fashioned bookbinders and busy local market places. After an active day, you will appreciate the casual, friendly and professional service at the hotel. Why not unwind with a drink in the American bar, which is open until midnight, or sample some wine and home-made cheese in the elegant wine bar? Alternatively you could liner over a tasty meal in the garden corner or the restaurant.